Recently, Mike Kaiser reached out to me to oppose Councilmember Mitch Englander’s motion that would temporarily halt any further expansion of dockless bikeshare in Los Angeles. And could jeopardize the new LimeBike system at Cal State Northridge. The president and co-founder of the nonprofit group Bikecar 101, and a board member of the Northridge East Neighborhood Council, his comments were insightful enough that I asked him to write a guest post on the subject. And as someone who works at CSUN, he offers a unique perspective we haven’t heard yet. I am writing you today to discuss the addition of a new transportation mode in the Valley – around the campus of California State University at Northridge. The program is a dockless bikeshare program offered by the company ‘LimeBike’ and has been a huge success. Obviously there are ‘growing pains’ with any new addition to a community. Which is why we need your support – as the community to voice your support of a health promoting (stress reducing), traffic congestion reducing, and economy increasing program. Call Councilmember Mitch Englander or email and express your support for the program or sign a petition initiated by CSUN students, which can be found here. That is my pitch, now let me back my pitch up with statistics and testimonials to show data contrary to the information produced in a motion by the councilmember for an emergency moritorium on bikeshare in the Northridge area. First and foremost, I must state a disclaimer. I write to you as a RESIDENT of Northridge. I am also an employee at the university – CSUN – but not writing on behalf of the institution. I am a board member of the Northridge East Neighborhood Council – but am not writing on their behalf either. 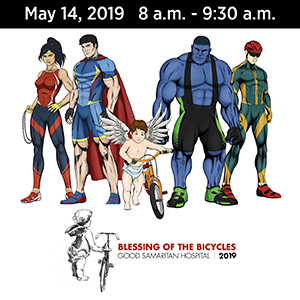 Last but not least, I am the president of Bikecar101 – a non-profit organization with a mission to educate and advocate for greater bicycle use on trains (Metrolink, Metro light rail, and Amtrak) in Southern California. Now that I have covered all of my basis for disclaimers, let me show statistics for the newly emerging and exciting LimeBike dockless bikeshare program. In the following paragraphs, I would like to briefly state the benefits and a few testimonials regarding the new LimeBike program from my perspective. As you will see, the statistics are showing positive momentum for active transportation. Incorporating a dockless bikeshare program into a community provides another mode of transportation which enhances the well-being of the community through health and economic gain. 7,000 subscriptions have already been completed. This subscription makes future use easy by storing the user’s e-mail and credit card information. In just three and half weeks in use, the riders have travelled by bicycle (LimeBike dockless bikeshare) a total of 13,000 miles – Wow! LimeBike doubled their workforce to implement ‘sweeps’ at 7am and 7pm – which consists of driving around each day and collecting unused (or abandoned) bicycles while returning them to areas of greatest use (high demand). Students feel safer while riding a bicycle back to their house/apartment at night. As of last week, a total of 40,000 rides have been taken on LimeBikes in the Valley. Now that I have stated the facts, let’s put them into perspective. First and foremost is student safety. Students have shown up to Northridge East Neighborhood Council recently (a week ago) and gave statements about the positive attributes of LimeBike use — specifically personal safety at night. Riding a bicycle back home provides a greater sense of safety. Are we as residents of the Valley going to revoke this new emerging (and growing) program? Student safety is on the backs of LimeBike’s opponents. Next, the numbers of subscriptions and rides are impressive and exceed LimeBike’s expectations. With 7,000 subscriptions, LimeBike users have traveled a total of 13,000 miles through 40,000 rides – Wow! To put that number into perspective – 13,000 miles – the total distance traveled by LimeBikes in less than a month, a person could travel a total of 2 round trips from Northridge to New York City. Another way to visualize 13,000 miles is to use ‘round trips to San Francisco’ as a metric. A person could travel a total of 17 round trips. Yes you read correctly, this means that LimeBike riders have traveled a total of 2 round trips from Northridge to New York City and back or 17 round trips from Northridge to San Francisco and back. That is amazing in just under a month. Last but not least, the rides taken on LimeBikes have reduced overall traffic congestion in the Northridge area. LimeBikes are being used to access the Metrolink Train Station and the Metro Orange Line. This means that LimeBike is solving the ‘first and last mile’ to other transit modes. This contributes to the growing momentum toward active transportation playing a greater role in the transportation solution in the future. Remember, these students will be the new professionals of tomorrow. Their decisions around CSUN can positively impact future sustainable transportation decisions. Their experiences will influence their future ‘votes’!! With that in mind, local politicians should be jumping on board to promote diversified transportation options. Lead rather than resist change. Change will be on the horizon regardless when these young professionals vote in politicians that suit their needs – promote health by reducing stress and traffic congestion. LimeBikes staged for initial distribution at CSUN. Photo by Steve. The first testimonial is from myself as a resident living across Reseda Blvd from CSUN. As a resident, one of the first observations I noticed upon launching the LimeBike program, was dockless bikes left in the path of travel on sidewalks. This was an initial concern. I first noticed this at the bus stop near Reseda and Superior. As I was walking to school, I noticed a LimeBike in the middle of the sidewalk. I decided to move the bicycle closer to the curb. Yes, as a resident, you too can help solve a problem. I wondered at that moment — when would that bicycle would be used next. To my surprise, no sooner than I could push the traffic signal ‘walk button,’ did a passenger get off of the Metro Bus and stare at the LimeBike I had just moved. I walked up and tried to assist him in unlocking a bicycle. He had already begun the process. The only question that I was able to ask in the brief time was: “Are you headed toward CSUN campus?” To which he responded, “No, I am headed a different way.” I walked off to work and stored this memorable memory about the newly launched program to share at a later date in time – the time has come. The second testimonial which I would like to share is that of CSUN students showing up to the Northridge East Neighborhood Council last week to speak about the emerging LimeBike program. All were enthusiastic about the release of 400 bicycles around campus. Each were impressed at the time saved while riding coupled to the obvious health benefits (lowers stress level). Additionally, each was especially thankful for the safety aspect that riding a LimeBike home after class. I was unaware of this aspect provided by LimeBike. On the way home from the meeting, I asked my wife if she agreed with the testimonials given by the students. She did indeed agree that having the ability to escape via bicycle would give her a greater sense of safety. At the very least, she stated, she could envision ‘throwing’ the bicycle at an attacker to provide a ‘barrier’ between herself and them. This is a strong aspect/benefit of a LimeBike which should not be discounted by opponents. Last but not least, I would like to share the overall feeling of a Northridge Vision meeting which I attended at Councilmember Mitch Englander’s office regarding the LimeBike program unveiling. At the time, the program had been deployed just three weeks and was skyrocketing with success (and still is). The meeting was with various stakeholders (including neighborhood council presidents, and Northridge Beautification headed by Don Larson). In light of resident’s concerns and the unexpected initial challenges with dockless bikeshare, LimeBike and CSUN representatives discussed potential solutions to bicycles being left on private property and blocking sidewalks. I should make clear that Councilmember Mitch Englander was not present at the meeting. The LimeBike personnel introduced their product and gave statistics across the nation comparing the way CSUN embraced the dockless bikeshare program with other college towns. LimeBike personnel answered all our questions. After LimeBike personnel introduced their product, Ken Rosenthal from CSUN gave introductions to other CSUN employees who are instrumental to outreach relations with the community: Austin Erickson, Francesca Vega, and Rafael DeLa Rosa. CSUN employees were very vocal in their willingness to collect feedback and work with LimeBike to optimize the program. Of greatest concern were bicycles blocking sidewalks and being abandoned. Each bicycle is equipped with a GPS unit, therefore unused bicycles are flagged automatically. Keep in mind, that LimeBike makes two rounds per day to collect these bicycles – one at 7 am and one at 7 pm. LimeBike made clear to the audience that anyone can call 1-888-LIME-345 (1-888-546-3345) 24 hours a day, 7 days a week, and a crew will immediately come and collect a misplaced bike. This phone number is displayed on each bicycle. Additionally, users who abandon bicycles in inappropriate locations can be identified. LimeBike is willing to contact the last user and impose a financial penalty. The greatest discomfort with the new dockless bikeshare program is embedded in the ‘dockless’ aspect. Ironically, the greatest discomfort contributes to the success of the program – ride a bicycle to your destination and lock the bicycle up without any further responsibility. This locked bike is available for another prospective rider. Which means that a person who is looking for a bikeshare bicycle can look on their ‘app’ on their cell phone, instead of traveling to the nearest ‘hub’ where bicycles must be returned to. The dockless nature of the bikeshare program contributes to the greater freedom of destination. LimeBike suggested that a geographical constraint is an option for the program, called geofencing, but in our view this would be a mistake. When using Tower Bridge Bike Share in Sacramento over this past winter break, we experienced uncertainty and anxiety associated with riding along the American River. Although the trail was wonderful and offered miles of protected riding, we realized that we had ventured outside the intended geofence of the program. We were unable to lock the bikes for fear of a $100 penalty and ended up calling the customer service to confirm the exact procedure that would avoid the fine. The conclusion is that geofencing causes unnecessary fines and diminishes the utility of the bicycles for their intended purpose of enhancing mobility at a low price point ($0.50 per 30 minutes for those with csun.edu email addresses, or $1 per 30 minutes for non-CSUN users). I left the meeting thinking that these LimeBikes have definitely shown to be a mode of transportation which has benefited the community health and economy. Of course, any new program has a certain amount of ‘growing pains’ associated with the implementation. This takes time. Which brings me to the last point. Councilmember Mitch Englander has not given the community enough time for the LimeBike program to grow into a beneficial program. 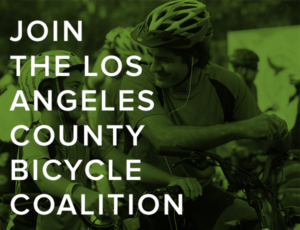 Recently, Councilmember Mitch Englander proposed a ‘Motion’ to impose an emergency moratorium on LimeBike to stop the program within the community of Northridge. The councilmember further moves that the city council together with LADOT to write guidelines for substantial permitting process with penalties and revocation of permits if dockless bikeshare companies do not adhere to their guidelines. The motion is shortsighted in my mind and is extremely premature, given that these regulations are yet to be written and have no timeline for completion — which could drag on indefinitely. Yet the LimeBike program will be immediately halted if Englender is allowed to move forward with this agenda. The meeting at Councilmember Englander’s office was adjourned with steps which would be taken if LimeBike (and CSUN) could not correct or address neighborhood complaints with the initial implementation of the dockless bikeshare program. Remember, Councilmember Englander was not present at that meeting. No indication of resident’s complaints were discussed at the Northridge Vision Meeting on Wednesday, February 14th. Only one resident spoke at the Northridge East Neighborhood council meeting on Wednesday, February 21st and he was upset about students running over cats with their cars (not a LimeBike issue specifically). One resident asked how the LimeBikes would be monitored with respect to theft, which is not an issue since each bicycle is GPS-enabled. Two days after that meeting, on Friday, February 23rd Councilmember Englander released his ‘motion’ to regulate transportation sharing programs, including bikes, electric scooters and cars. Englander’s motion contains extreme measures which were not discussed at the meeting at his office. Councilmember Englander’s motion did not consider that the community would need time to naturally adjust to the infusion of LimeBikes. Implementation of any new program is going to cause a shift in the limited space available for all road, parking lot and sidewalk users. Already, in the two weeks since the councilman’s motion was filed, there have been fewer issues with abandoned bicycles and bikes blocking sidewalks. Although it is unclear what factors have been responsible for this change in LimeBike user behavior, we celebrate that LimeBike users have grown more considerate with practice. Admittedly, the month of January offered all users 10 free rides. With a decrease in incentives, there may be fewer casual users and more regular users who appreciate the freedom of the LimeBike program and exercise it responsibly. Councilmember Mitch Englander is rushing to shut down the program at CSUN. What this shows is that Councilmember Englander is not for active transportation. Furthermore, Councilmember Englander does not support bicycles as a mode of transportation. Although, I have heard him brag in the past about having the “highest density of bike lanes in his district.” These two ideas are at odds with one another. I am disappointed in Councilmember Englander’s position. His motion shows that he is not a ‘forward thinker’ as he claims to be on a frequent basis. He is stuck in a car culture mindset which is sad – since the rest of the world are starting to wake up and incorporate other modes of transportation into their respective communities. In conclusion, we live in a democracy. As a result, politicians such as Councilmember Englander are elected individuals. Unfortunately, Councilmember Englander has decided to listen to a ‘few residents’ stuck in the car culture mindset and propose a motion to shut down the LimeBike dockless bikeshare system. Since we live in a democracy, this affords us the opportunity to express our views through our votes. Furthermore, in between elections, we can express our views via avenues: social media, e-mail, phone calls, and letter mail. I would ask each member of the region to reach out to Councilmember Mitch Englander’s office and express your concern about shutting down a great addition to the community. Tell his staff or him (more importantly) that you support LimeBike dockless bikeshare program – Do Not Shut Down the LimeBike Bikeshare program!!! Please excuse the lack of Morning Links today. With tonight’s discussion of removing bike lanes and road diets from the Hollywood Community Plan, I felt it was more important to write and share this open letter. We’ll catch up on anything we might have missed tomorrow. Tonight you’re scheduled to discuss a response to the draft Hollywood Community Plan, including the proposed bike lanes included in the Mobility Plan 2035. However, the draft response contains references to maintaining the community’s current over-reliance on motor vehicles, as opposed to improving safety and connectivity for transit, walking and bicycling to encourage people to use other forms of transportation whenever practical. Nothing could be further from the truth. Or do more harm to the Hollywood community in the years to come. The truth is that road diets, more accurately known as lane reductions, can actually improve traffic flow and reduce congestion while increasing safety for all road users. And bike lanes can improve the livability of the community, while increasing the commercial health of local businesses and property owners. Road diets have been shown to improve safety from 19% to 47%, and have been successfully used around the country for nearly 40 years. The economic benefits of improved safety from road diets far outweigh the costs due to minimal increases in congestion, resulting in a net positive of $2.6 million to $37 million. Traffic volume is usually unaffected by road diets, while traffic flow can actually improve in many cases. Road diets encourage increased walking and bicycling as speeding is reduced and the dangers of uncontrolled traffic is calmed. Other cities have recently seen the benefits of road diets. London removed traffic lanes and built out a complete network of what they call “cycle superhighways.” The result has been a 30% reduction in motor vehicle traffic in the central city, where bicycles are now the leading mode of transportation at rush hour. New York has seen a 150% increase in bicycling rates after building out an entire network road diets and bike lanes, bringing traffic fatalities for all road users to an all-time low. Yet taxi data shows that traffic times have actually improved. Paris did more than conduct a road diet; they converted an entire highway along the Seine to pedestrian use. Despite predictions of gridlock, the traffic has simply disappeared, with no increase in traffic on surrounding streets. But you don’t have to look to other cities to see the benefits of road diets. The road diet on Rowena Avenue in Silver Lake has been a proven success, reducing average speed back down to the posted speed limit with no adverse effect on traffic volume, while significantly improving safety for all road users. And despite the initial complaints of business owners, York Blvd in Highland Park has thrived after a road diet was installed; even just six months after completion, it had no negative effect on local businesses. Meanwhile, there are additional benefits to bike lanes, with or without a road diet. Painted bike lanes have been shown to improve safety for bicyclists up to 50%, while protected bike lanes improve safety up to 90%. But not just people on bicycles; the presence of bike lanes improves safety for everyone on the street. Bike lanes increase retail sales, while reducing business vacancy rates, which is a key problem in Hollywood. Even when they require a loss of parking, bike lanes result in a net gain for retail businesses. Studies around the world show a net benefit for businesses after bike lanes are installed. Having bike lanes nearby has been repeatedly shown to increase property values while making homes easier to sell. Bike lanes increase the livability of a community, bringing more people out onto the streets and sidewalks, and improving the vitality of the city. 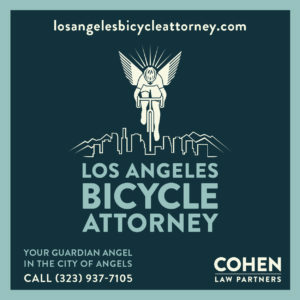 Safe bicycling infrastructure also increases compliance with traffic laws by bike riders, addressing the exact behavior Ms. Mann complained about in her interview with KABC. The best part is, everyone gets to enjoy these benefits, whether or not they ever ride a bicycle. All that’s required is to make it safer, easier and more convenient for other people to ride their bikes. 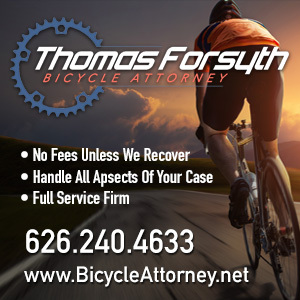 In fact, studies have repeatedly shown that roughly 60% of all people would like to ride their bikes more if they felt safer doing it. Even right here in the car capital of the world. On the other hand, the best way to ensure the failure of our traffic grid is to do nothing to encourage people to leave their cars at home, as more and more people move to the city, bringing their cars with them. And more people buy cars thanks to low interest rates and a booming economy. As counterintuitive as it may seem to some, the solution isn’t to maximize the space given to motor vehicles and their drivers. Los Angeles streets — and Hollywood in particular — are already built out to capacity. And rapidly filling to it, as well. Our streets will all grind to halt if we don’t take steps now to make bicycling, walking and transit more viable options for more people. The only thing that’s actually infeasible is to continue on the almost exclusively car-driven path we’re on now. Simply put, when you say no to road diets and bike lanes, you say no to safety, livability and commercial success. And that your ability to drive unimpeded is more important than people’s lives, and a healthy, thriving community. Please do the right thing, and support the bike lanes in the draft Hollywood Community Plan. The anti-bike writer in the Financial Post who called for banning bicycles last week, saying cities made a huge mistake in promoting bicycling, is back with a second screed even less informed than the first. Lawrence Solomon, executive director of the Urban Renaissance Institute, is back to misstate and misinterpret bicycling crash statistics to suggest that bikes have made the streets more dangerous, going so far as to cite unnamed studies “not funded by bike-path proponents” that show bike infrastructure actually increases crashes. It’s the worst kind of drivel, taking unrelated data points to support his arguments, such as suggesting that the recent increase in overall traffic fatalities is somehow due to the increase in bicycling, and that bike riders are almost always the ones at fault in any crash. The problem is, his baseless arguments have given cover to other writers to attack bikes and bike lanes, like a Staten Island columnist who asks if we’re watching the beginning of an anti-cycling bikelash, or the writer for an alt-right website who does little more than repost Solomon’s arguments. Which would suggest that everything he says should be taken with a grain of salt. If not an entire bag. Thanks to Erik Griswold for the alt-right link. A writer for Outside captures succinctly the problems bike riders face on the roads. Let that sink in: I was in a bike lane, wearing a bright orange helmet, sans earphones, when a car traveling over the speed limit and completely off the road struck me from behind—and the police tried to ticket me and let the driver go free. I realized that day that altercations between cars and bikes aren’t so much about the risk factors, like distracted driving, bike lanes, or mountain versus road. They’re about a car culture that devalues bikes. Over the years, passing motorists have thrown and struck me with eggs, fountain drinks, and, once, a half-empty can of beer. I’ve been shouted at, flipped off, menaced, driven into the shoulder, and even chased on foot. My own father-in-law grouses regularly about cyclists on the road and likes to joke about “door-popping” them. If cyclists can’t even rely on our families or the police, it’s clear that we are on our own. It’s worth taking a few minutes to read. If you’ve been hit by a driver, you may recognize yourself in the story. I certainly do; when I was run down by a road raging driver, the police officers who responded believed her story. And ended up threatening to arrest me for filing a false police report, leaving me to limp home with a broken arm and damaged bike. If not, it’s fair warning that you may be blamed in a crash even if you didn’t do anything wrong. It’s not right. But it’s the battle we have to fight far too often. Note: I originally left out the link to this piece; thanks to Mike Wilkinson and J. Patrick Lynch for the heads-up. BOLO Alert: A bike rider was seriously injured in a hit-and-run in La Tuna Canyon on Saturday; the victim was still unconscious after 20 hours in the ICU. The vehicle was described as a newer black Mazda SUV. Thanks to Mike Kim for the tip. A reminder that if you haven’t signed it already, you can support one of LA’s most underserved communities by signing a petition calling for bike lanes in DTLA’s Skid Row. We the undersigned residents of the City of Los Angeles, sign this petition calling on Council member Jose Huizar of the 14th District and the Department of Transportation to begin the process of creating Skid Row specific bike lanes on 5th street heading west and 6th street heading east. Skid Row has one of the largest bicycle riding populations in Los Angeles and because of this, we feel that we need bike lanes on these streets to improve public safety. Thanks to Bobby Peppey for the heads-up. Over 400 Cathedral City students got new bikes for getting good grades. One hundred ninety Clovis kids got new bikes and helmets thanks to a local nonprofit group. Hundreds of Sonoma County fire victims got new bikes on Sunday. Five hundred kids in Tucson got new bicycles thanks to a local community activist. Eighty Aurora IL volunteers built 350 bicycles to donate to kids. Roughly 100 San Antonio kids took home new bikes as part of an earn-a-bike program. One hundred bikes were donated to children of law enforcement officers in College Station TX. Around 35 Santas rode their bikes to raise $5,000 for a Green Bay, Wisconsin children’s hospital. Around 90 people took part in a 1.2 mile bike ride through an underground cavern in Louisville KY, decorated with more than 2 million lights and past 850 holiday displays. An Ulster NY bicycle club donated 30 bicycles and helmets to the local county children’s services. It’s Day 18 of the 3rd Annual BikinginLA Holiday Fund Drive. By all reports, Los Angeles enjoyed another successful CicLAvia yesterday; next year could see one in running through San Dimas, La Verne, Pomona and Claremont. Metro Bike Share wants your feedback, whether or not you’ve ever used bikeshare. David Wolfberg points out that even the LA Auto Show doesn’t recommend driving there. Smoking dope will soon be banned in motor vehicles in California. But bikes aren’t considered motor vehicles under California law, so puff away. As long as you don’t do it in public or ride under the influence. The Orange County Register’s David Whiting looks at efforts to clear homeless camps off the Santa Ana River Trail, even though the people living in them have nowhere else to go. UC Santa Barbara students are having to bike through smoke and ash from the Thomas Fire to get ready for finals. Life is cheap in San Luis Obispo, where a 60-year old driver gets 90 days behind bars for illegally crossing a double yellow line to pass another vehicle, and killing a bike rider in a head-on crash; he’s expected to actually serve just half of that. The driver is reportedly grief-stricken. Although likely not as much as the relatives of the victim. A San Luis Obispo man responds to recent anti-bike columns by asking city officials to make it safer for people on bicycles, and for local residents to spare a few moments for the safety of cyclists. Sad news from Fresno, where a bicyclist was killed by a suspect drunk hit-and-run driver. A tragic find, as a bike rider discovered a young woman’s body in the water along a Sunnyvale bike trail. Life is even cheaper in Napa, where a 77-year old woman got three years probation and had her license permanently revoked for the hit-and-run death of a popular cyclist. A Boston website says Marin County’s West Ridgecrest road up Mt. Tamalpais may be one of the best bike rides in the US. An Oak Park man in riding his bicycle around Sacramento, collecting garbage and scraps to turn into compost. Thanks to Megan Lynch for the link. The Wall Street Journal says gadget obsessed cyclists need a data detox, while a writer for Slate complains that he doesn’t even know how turn off the tech and ride his bike for fun anymore. Seriously, turn everything off, and for the rest of this month, just ride for the fun of it. You might even remember why you love bicycling again. NPR looks at automakers attempts to woo members of Gen Z, who have shown little interest in owning cars so far. California Congressman Tom McClintock discusses his bill to allow bicycles back in wilderness areas. A Denver weekly looks at how the murder of mountain biking legend Mike Rust was finally solved, seven years after he disappeared; his killer was found guilty of 1st degree murder last week, along with a host of other charges. A Colorado newspaper applauds plans to make the town more walkable and bikeable, but worries about the loss of 162 downtown parking places. Because everyone knows people never walk or bike to go shopping. Right? A group from my hometown is asking the public for another 75 bicycles so they can donate 400 bikes to kids for the holidays. And they can drop off those bikes at the shop where I bought my first bike, back when dinosaurs still walked the earth. A Chicago letter writer suggests everyone walking on the river walk should wear a bike helmet, since city hall somehow ignored his letter demanding that bikes to be banned from the path. Still no explanation for what drove a bike-riding doctor to attack his neighbor, Kentucky Senator Rand Paul. The surgeon who treated Bono after his Central Park bicycling crash was found dead in his New York apartment with a knife plunged into his chest, the victim of an apparent suicide. I want to be like him when I grow up. A 79-year old Georgia man is riding from Northern California to Atlanta. Seriously? A Tallahassee FL writer welcomes dockless bikeshare to town, but worries where people will park their cars to use them. A Canadian cycling magazine calls on the country to adopt a National Cycling Strategy. Something you’re not likely to ever see in the US. The war on bikes continues, as someone vandalized a bike belonging to the mayor of Victoria, British Columbia for the second time; she doesn’t want to believe it has anything to do with her support for bike lanes. Roughly 180,000 Quebec residents ride their bikes all through the winter, despite the cold and snow. Tell that to the next person who tells you Angelenos won’t ride their bikes to work year-round. This is what happens when you install a temporary bike lane around a Toronto construction site, but don’t do anything to accommodate people on foot. Ed Sheeran gets back on a bike in London for the first time since he broke both arms in a crash, even if it did have training wheels. Shades of Children of the Corn. A British town is installing bollards designed to look like little children, and stare back at drivers to get their attention. Thanks again to David Wolfberg. A Bulgarian expat has formed a volunteer crew to rescue damaged and abandoned dockless bikeshare bikes in Singapore; he may have his work cut out for him. A Pakistani woman became the first woman to ride a bike up Mt. Kilimanjaro. An Indian man is riding across the country to encourage people to ride to work. Kylo Ren is one of us. We may have to worry about distracted drivers, but at least we don’t have dodge zebras. And Australia chose their bird of the year even though it attacks bicyclists.